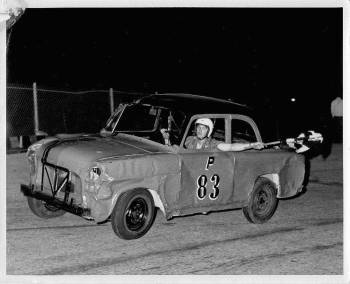 Fresh out of high school, Don begins his racing career in a flat head Anglia. 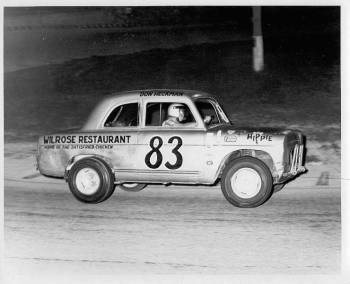 By June of that year, his car looked a little rougher. Note the scrapes on the roof, Don must have rolled this one! 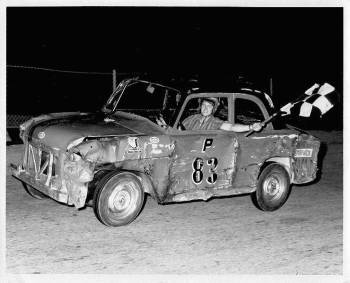 Looking good with some new body work in 1968. 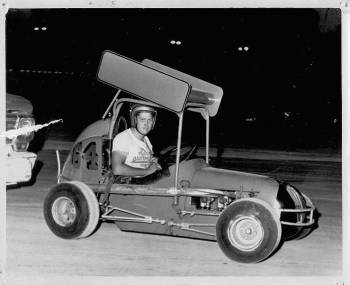 Here is Don in his first midget ride. 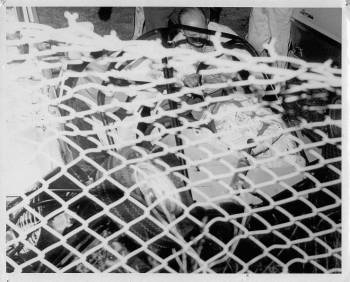 Don was the man to beat when he strapped into the "Black Bandit", #95. The trophy girl is Maggie Gavaletz. 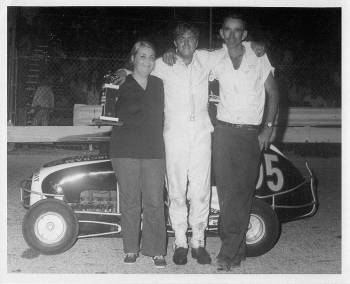 Don celebrates another win with his car owner, Don Ingram, and with Cheryl Smith. 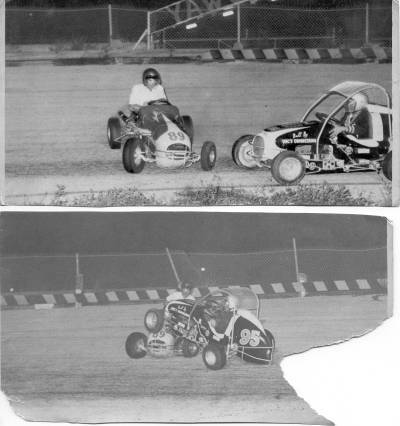 Her brother Gary was the only fatality at the track. 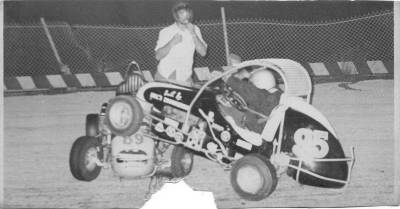 Jim Adams loops the 89 as Don reaches for the brake. 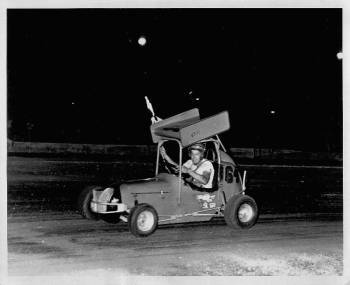 No roll cage and no fire suit make this a scary looking spin. Don and C.W. 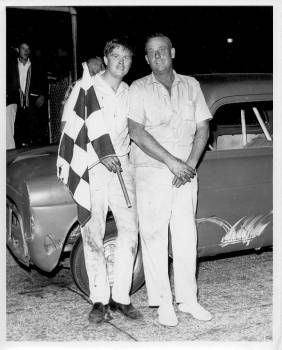 Davis, who was a successful car owner for Jim Adams and the late Frank Suits. parked in the pits. 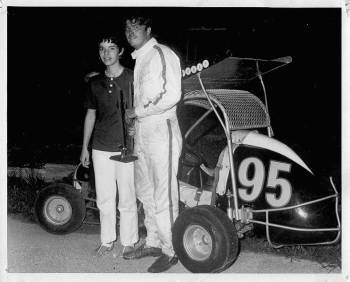 After a trip to the hospital, Don returned to the track that same night. and has become a car owner. 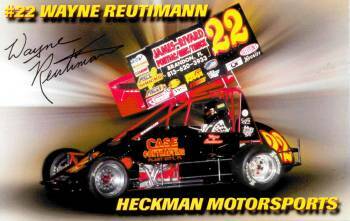 This Sprinter competes in Florida's TBARA series. As always, Don's car is in the hunt for the championship and is often the car to beat.